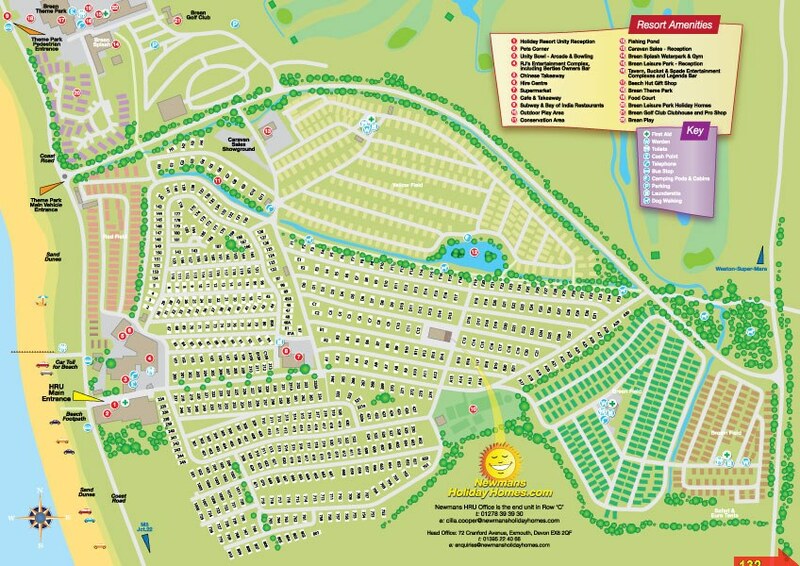 Unit 132 is a Willerby Westcoast, modern and spacious Premium 8 berth holiday home. 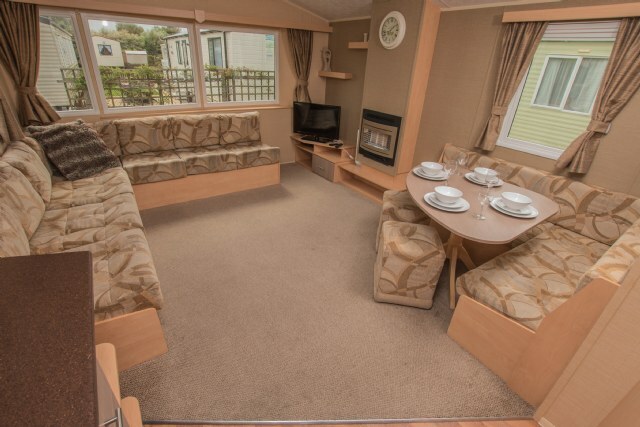 Benefiting from double glazing, central heating, fenced garden, galley styled kitchen, piped gas, flat screen TV with Freeview and separate second toilet. 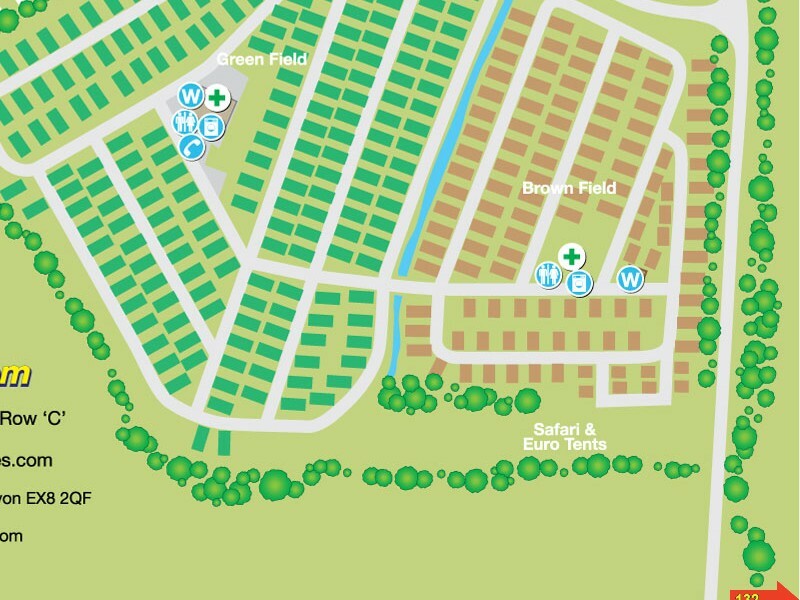 Unit 132 is a Willerby Westcoast, modern and spacious Prremium 8 berth holiday home. 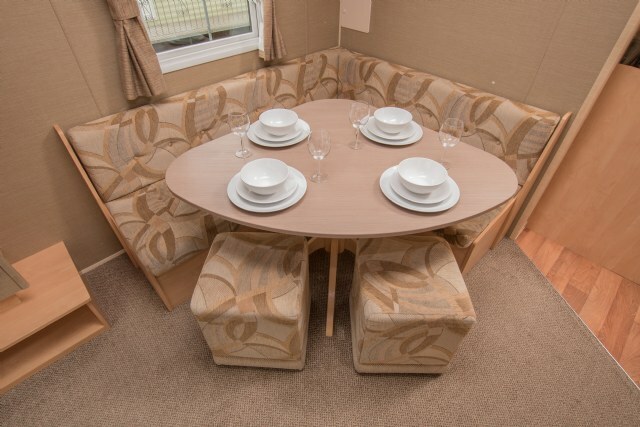 Benefiting from double glazing, central heating, fenced garden, galley styled kitchen, piped gas, flat screen TV with Freeview and separate second toilet. 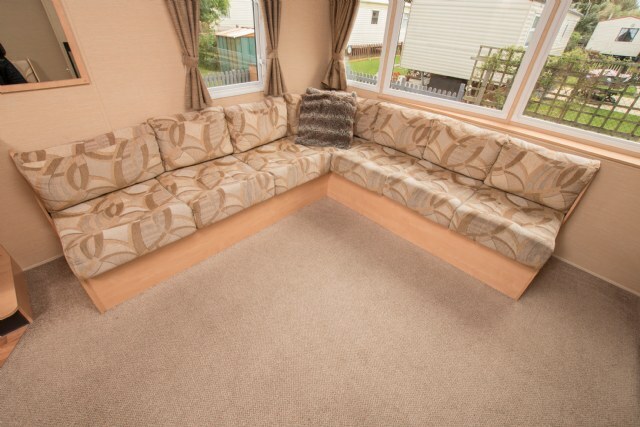 LOUNGE; the modern and spacious lounge is fitted with fixed comfortable seating for all the family (includes occasional double pull out bed) and has a Flat screen TV, DVD and Free view player. 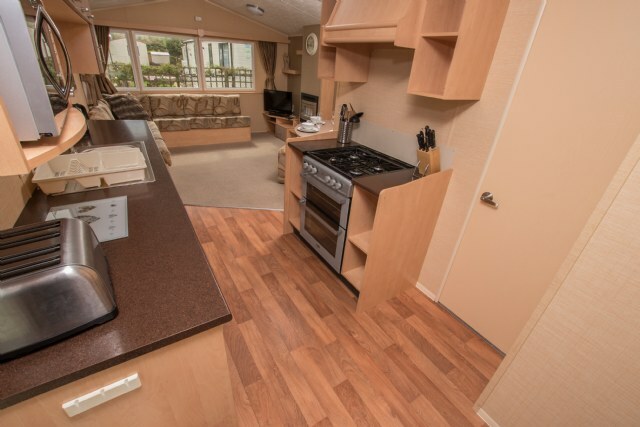 KITCHEN & DINING AREA; This lovely holiday home offers comfort with a spaciously designed interior, the modern kitchen is fully equipped which includes full size cooker, fridge (with small freezer box) and microwave. The dining area is comfortable with fixed seating plus stools. 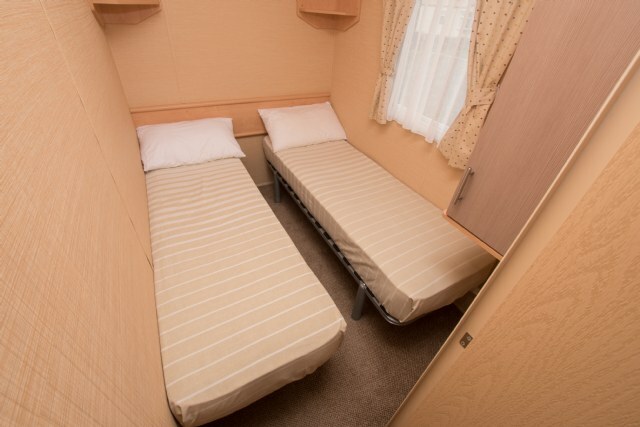 BEDROOMS; This accommodation has three bedrooms, one double with fitted wardrobe. 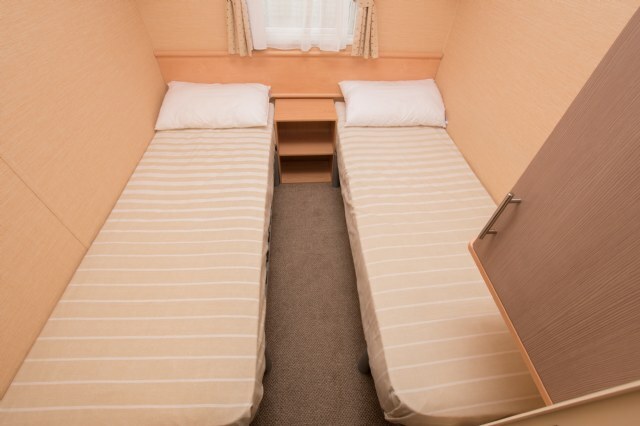 In the twin bedrooms, the beds can be pushed together to form an addition double, also has small fitted wardrobes. 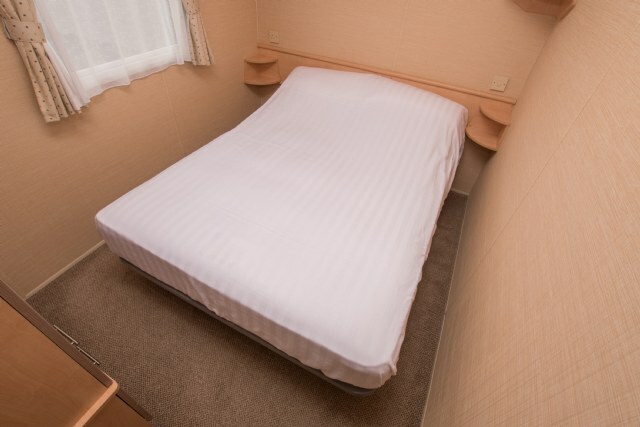 There is also an occasional pull out bed in the lounge as previously mentioned. 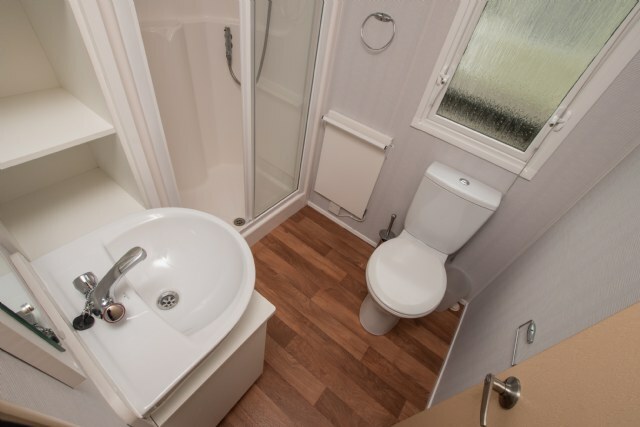 BATHROOM & TOILET; the bathroom has a double shower, toilet, wash basin and heated towel rail with corner shelf unit. 132 benefits from a separate toilet with wash basin. HEATING; YES, small electric heaters are fitted with towel rail in bathroom. GARDEN; Yes, fenced grassed area.